The Karting Division of ART Grand Prix is proud to announce a really important deal that will enable a massive expansion towards the Asian markets. IRU1 Motorsport Sdn Bhd, a long-standing company in the kart racing panorama, will be exclusively distributing the ART brand in Malaysia, Indonesia, Singapore, Thailand, Brunei and in the Philippines. The deal will also cover India, China and Macau, although not on an exclusive basis. The relationship between ART Grand Prix and IRU1 Motorsports Sdn Bhd will go beyond their commercial partnership. A combined effort by the two parties will give birth to the official ART Grand Prix Asia team, set to enter the Asia Rotax Series, Yamaha SL Cup Series, WSK Asia Series and all the other major karting events in Asia. Some interesting initiatives and opportunities will also be offered to the best drivers selected by ART Grand Prix Asia. "We are proud to announce this important partnership with ART Grand Prix, a world renowned brand in the world of motorsport from karting to Formula 1. The philosophy and track record of the brand winning all the junior formula series from karting to Formula 3, GP3 & GP2 and the outstanding leadership and vision of Nicolas Todt have been the pillar to our decision to work with ART Grand Prix. For Iru1 Motorsports, we have built a strong team over the four years of operation especially in the marketing and racing department. With the company’s new strategy to widen our market share and territory in Asia, it’s a privileged to work with a proven brand like ART Grand Prix and we have a step-by-step plan to make ART Grand Prix as Asia’s number one karting product in the long term. 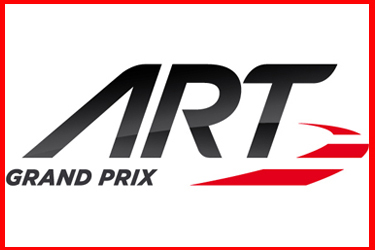 With the formation of a dedicated company for this project, ART Grand Prix Asia will be executing the promotion, sales and marketing activities as well as competing in the important races in Asia via the ART Grand Prix Asia Official Team. Iru1 Motorsports have always put an importance in the promotion of Asian talent and through the ART Grand Prix Asia Official Team Program, the best driver from Asia will be given a free drive in the prestigious CIK/FIA World Cup KF3 every year. This is the first ever such talent program introduced by any kart manufacturer in the world. We are looking forward to work with Mr Nicolas Todt and his dedicated team and I am confident that we have chosen the right people to achieve our goals". “For ART Grand Prix, the deal reached with IRU1 Motorsports represents a great opportunity of growth. The Asian market is expanding fast and, for ART, entering it with a top-flight partner was key. When the chance to co-operate with IRU1 Motorsports came to light, we did not have any single doubt. That was the opportunity we were waiting for. I'm really happy and proud to start a partnership that will involve the commercial as well as the sporting point of view, touching two aspects that are equally important and complementary. IRU1 Motorsports proved to be a fast-growing company and that clearly reflects the ambitions of ART Grand Prix. I'm sure that a partnership involving two companies that are so eager to succeed will be achieving all the goals we set for this venture".